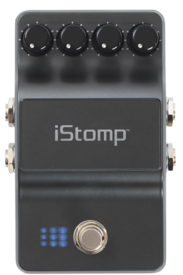 Users of wah wah pedals know there is a sweet spot they can set their pedal at to really cut through during solos. 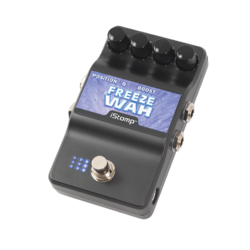 The Freeze Wah consistently gives you that perfect half-cocked wah sound every time by manually setting the wah 'pedal' position ahead of time. No more rocking and hunting for the right sound in the middle of the song. 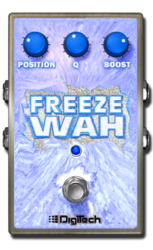 Just set the POSITION knob where it sounds best and simply turn the Freeze Wah on and off. Extra controls for bandwidth (Q) and Boost level make the Freeze Wah an invaluable addition to your effects chain. POSITION - Selects the 'pedal position' for the perfect half-cocked wah. 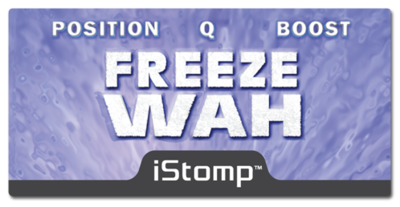 Q - Adjusts wah frequency bandwidth. 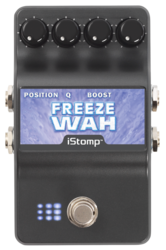 BOOST - Controls the additional level boost of the effect.